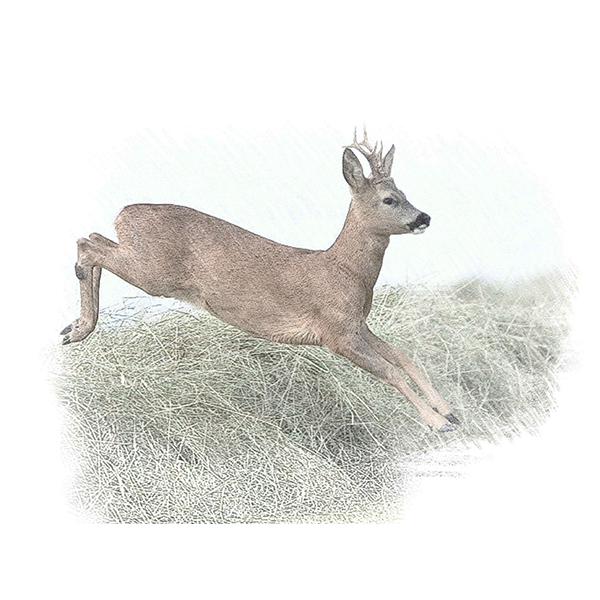 With 5 species of deer in Suffolk and thousands of acres of woodland, farmland and marshes, we have some of the best estates for deer stalking in the UK. We offer a variety of options to suit everyone's needs and preferences, from walk and stalk to high seats. All deer stalking is accompanied by highly experienced stalkers, with many years experience under their belts, who will help you have that perfect experience and maximize your chances of a successful stalk. Between our estates we have hundreds of Red, Roe, Chinese Water, Muntjac and Fallow deer roaming the lands. Each estate has its own specialty of resident deer. If you have a preference for your deer stalk, let us know and we can bring you to the best estate for your needs. 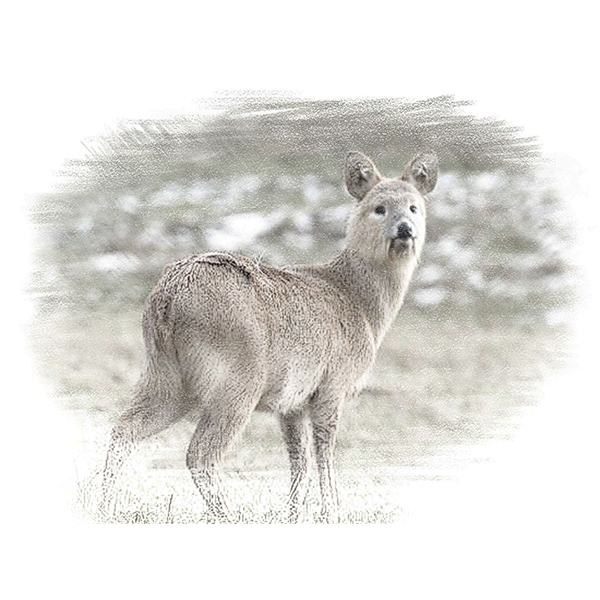 If you are not familiar with the UK species of deer, please read below to find out a brief description of our deer in Suffolk. Our estates provide an ideal environment for the deer to thrive in and with the professional management of the lands, they are able to raise some impressive trophy deer. All of our stalkers know their estates like the back of their hands, so you can rest assured that they will be able to guide your deer stalk to the best possible places for a successful day. You must be selective when shooting deer, our experts will be with you to advise but sometimes in the moment, stalkers tend to shoot first and ask later. You must be prepared that different sized deer come at different prices. If you are unsure, don’t shoot. Generally we shoot does over stags. Does are the ones who reproduce and keep the numbers at a healthy level. Stags are available to shoot but they may come at a higher price, never shoot if told not to or if you are not willing to pay the price. Also it is generally an ethical move to shoot any deer which looks in poor health or badly wounded. If you wish to bring a non-shooter you must inform us first and there may be an additional charge. Please do not bring anyone who may act in an unruly, reckless or irresponsible manner. If you are a novice gun our experts can support you every step of the way; knowing how to locate and approach undetected, keeping out of sight and up wind and finally how to place an accurate shot ensuring a swift and successful kill are all key factors in a successful stalk and we are with you every step of the way with professional guidance and support. Tips are not included in quoted prices. Our accompanying stalkers have rifles of different calibers to suit every stalk needs. Transportation around the estate and accompanying stalkers. Expert advice and guidance from our professional stalkers. An unforgettable day in the heart of the Suffolk countryside. Clothing and other gear. If you do not have something in particular let us know in advance and we will do our best to help. If you are unsure whether to shoot or not, don’t shoot. Deer stalking is not a fashion parade. Wear proper clothing. Avoid after shave, cologne or any strong smelling perfumes. Avoid excessive alcohol consumption during your stalk. Largest land mammal in the UK and native to this country. Stags weigh in around 90-190 kg and hinds 60-120 kg. Your chances of a trophy stag are very high and there have been some record stags raised in the Suffolk woodlands. Open season: Stags, 1st August until 30th April. 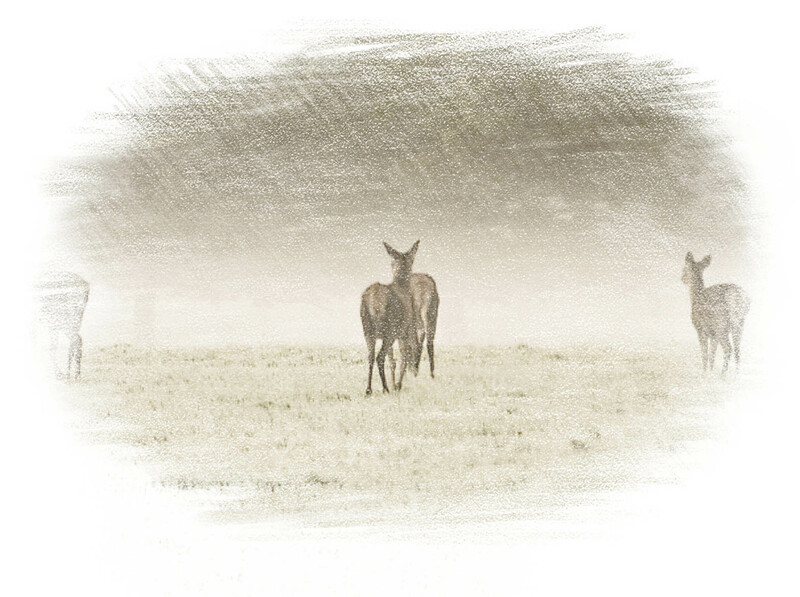 Hinds, 1st November until 31st March. Introduced to the UK at the start of 1900's. Weighing in around 11-18 kg. Unlike other species they do not have antlers but protruding tusks and they have round teddy bear like ears. 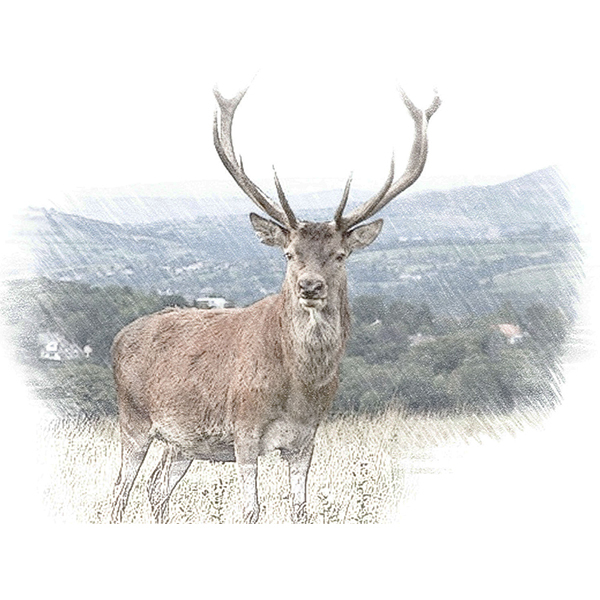 In our opinion, CWD is by far the best tasting venison you can find in the UK. Open season: 1st November until 3rd March. Introduced from China at the start of the 20th century. Weighing in around 9-18 kg. This deer is famous for its tusks which has given it the name of vampire deer. Muntjac are quick and ample, making for a truly exciting stalk. 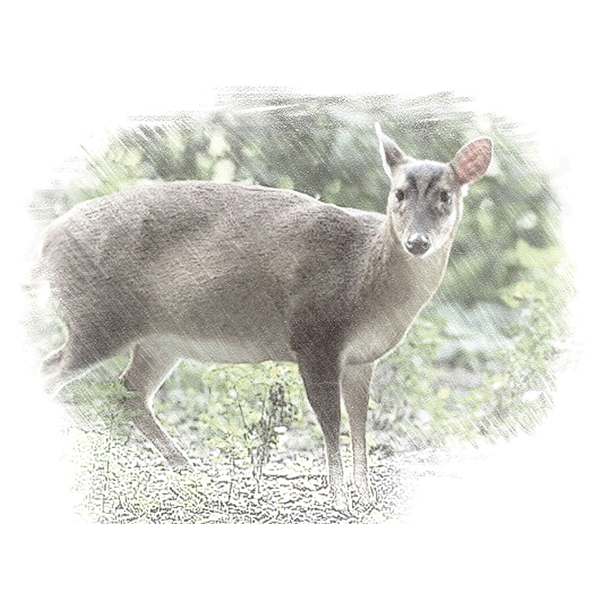 Unlike other species they breed all year round, hence there are no restricted season for Muntjac stalking. First brought from the western Mediterranean in the Roman era then reintroduced in the 11th century. Bucks weigh in around 73-91 kg and does 46-94 kg. 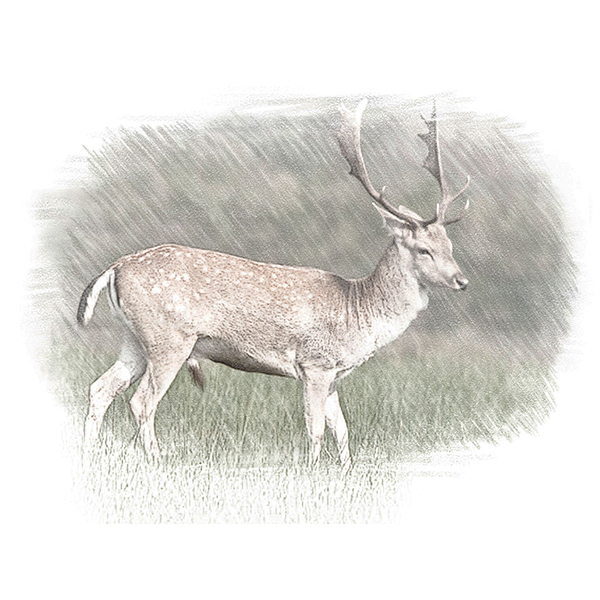 Fallow deer tend to keep on the move and are rarely resident on just one estate but we track Fallow herds constantly so we can bring you to the best estate. Open season: Bucks, 1st April until 30th April. Does, 1st November until 31st March. Native to the UK and weighing in around 10-25 kg with not much variance between male and female. Widespread and abundant species. Roe deer can be more challenging species on our estates, however this just makes it all the more exciting stalking these deer! Open season: Bucks, 1st April until 31st October. Does: 1st November until 31st March.